Bullying is a serious problem at schools, workplaces, homes and over the Internet. It affects many Canadians and can lead to tragic consequences. 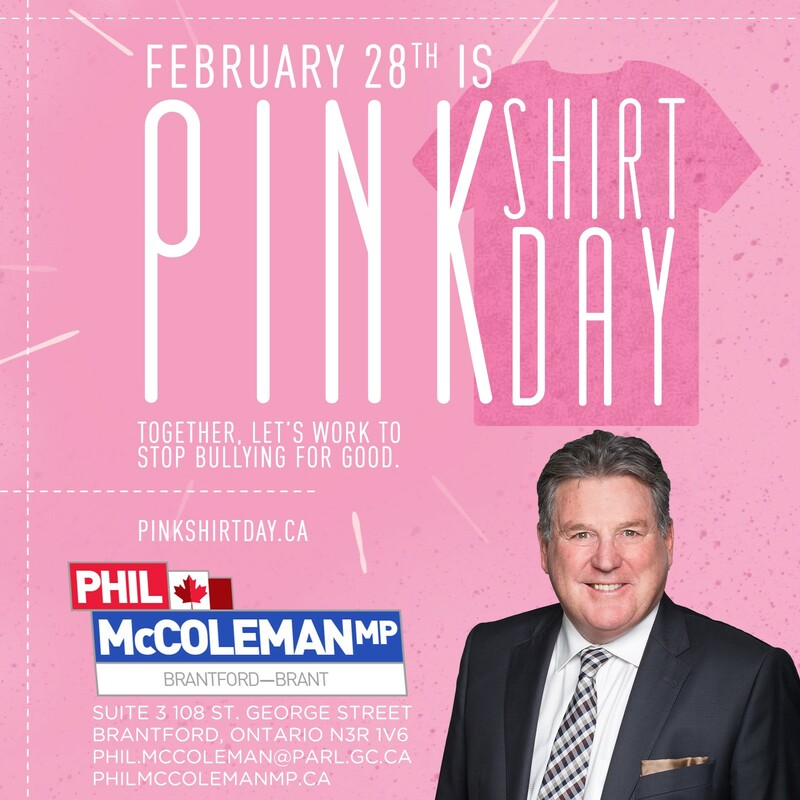 Pink Shirt Day promotes awareness, understanding and openness about bullying and demonstrates a shared commitment to a solution. I invite you all to join me in taking a stand against bullying. Together, we can stop bullying for good!